The New York Rangers have been on a mission since before the trade deadline last season. For the first time in team history, they are attempting to undergo a full-scale aggressive and quick rebuild. Well, over a year into that mission, the future of the Rangers is starting to look more promising. 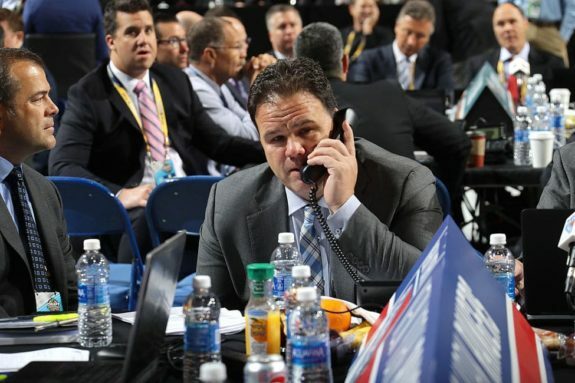 Piece by piece, the Blueshirts have accumulated prospects, draft picks, and cap space. Departures of former Rangers Ryan McDonagh, JT Miller, Rick Nash, Nick Holden, Michael Grabner, Kevin Hayes, Mats Zuccarello, and Adam McQuaid have all returned enticing pieces. 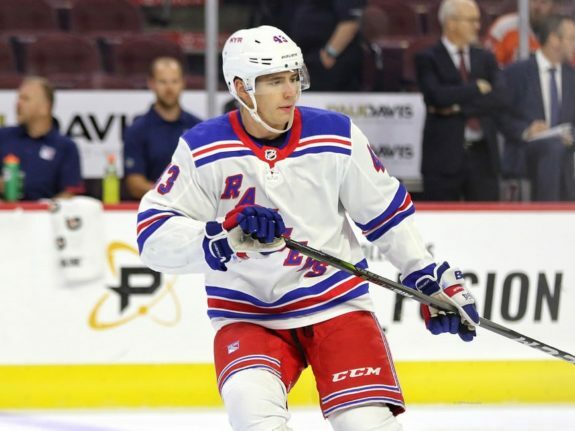 NHL-ready players in Libor Hajek and Brett Howden from the Tampa Bay Lightning, high-end prospect Yegor Rykov from the New Jersey Devils, defensive prospect Ryan Lindgren from the Boston Bruins, and a plethora of high draft picks have put the Rangers in an excellent spot. If the Lightning become the 2019 Stanley Cup champions, the Rangers will receive their first-round draft pick in the 2019 NHL Entry Draft. In addition, if the Dallas Stars reach the Western Conference Final with Zuccarello playing in 50 percent of their games played, the Rangers will receive Dallas’ first-round draft pick. This scenario would result in the Rangers having four first-round draft picks in the 2019 Draft alone. That would mean potentially four future starters will be drafted, assuming they pan out. But having draft picks is one thing. It’s what a team does with them that matters much more. This year’s draft is filled with a multitude of high-end prospects, headlined by American speedster Jack Hughes and Finnish powerhouse Kaapo Kakko. This past Tuesday night, the NHL proceeded with the 2019 Draft Lottery to determine which teams would claim the top three spots in the draft, with the team picking first overall being the lottery winner. Despite finishing with a record better than five other teams, the Rangers got lucky and were granted the second-overall pick in the draft. For the Rangers, who have never picked in the top three in their history, this is a huge deal. The major complaint that Rangers fans have had over the past decade and half is the lack of elite talent. They’ve had few highly dangerous scoring threats with the exception of Jaromir Jagr and maybe Marian Gaborik. The debate as to which of the top two prospects is better rages on. Hughes is lightning fast, but Kakko is much bigger and already tearing it up against grown men in the top Finnish league. Regardless, the harder decision is now on the Devils to make the right choice, because the Rangers will surely select the other. The addition of either Hughes or Kakko would have massive ramifications on the outlook of the Rangers future. In addition, the they are expected spend a considerable amount of money in free agency, possibly attempting to sign a big name such as Artemi Panarin.. The Rangers look solid on defense with the amount of high-end promising prospects they have. But now, they’re also beginning to stack up on offense, especially with the addition of either Hughes or Kakko. On defense, the Rangers have Hajek, Lindgren, Rykov, K’Andre Miller, Nils Lundkvist, and potentially Adam Fox, if the Rangers trade for him, to go along with Brady Skjei, Tony DeAngelo, Neal Pionk. The state of their young defense is very good. On the other side, they have Vitali Kravtsov, Filip Chytil, Lias Andersson, Howden and likely Hughes/Kakko to go along with Mika Zibanejad and Pavel Buchnevich. And they may bring in a couple very good players during free agency. Then finally, the Rangers will soon bring over from Russia budding superstar goaltender Igor Shestyorkin, behind the young Alexandar Georgiev. Georgiev has already proven his ability to be a fringe starter in the NHL. This could be a terrifying team. They have unloaded everything they have over the past two years and brought in as good of a prospect pool as any team in the league. And now, with the likelihood that they select an elite game-changing forward with the second overall pick, they’re getting even scarier. The mix of what could be a lock down defensive corps, paired with a possibly elite group of forwards and one of the top goalie prospects in the league makes the Rangers soon-to-be rebuilt team potentially formidable. The Rangers have decided to go their own route in this rebuild, not following any other recent team’s mold. The Toronto Maple Leafs finished bottom or close to it for years straight to accumulate their superstars. The Buffalo Sabres have been receiving high-end prospects for the greater part of ten years with no end sight. The New York plan is aggressive. It is a full scale attack on other team’s prospect pools. Rangers’ general manager Jeff Gorton systematically shipped out almost every valuable player in just two years. There is no copying the other teams who have rebuilt, the Rangers have created their own model. This is not a good team right now. They’re learning under an inexperienced young coach, but keep your eyes open. As long as this draft is successful, which would be hard to botch given their draft position, the Rangers are on the fast track. They will continue to rapidly improve over the next season or two, and slowly creep themselves back into the playoff hunt. This is going to be a very good team in a couple years, and one that may be able to bring the Stanley Cup back to Manhattan shortly. The rebuild is near completion. The Rangers will make their picks in this draft, potentially sign some free agents, and begin to mold their hopeful lineup of the future.